Marietta is a city found approximately 20 miles on the northwest area of Atlanta. The city is in Cobb County, and it has been recognized nationally for providing the people who live there with high-quality life. Majority of people in Atlanta who have families prefer to live in Marietta because of the great environment. The city has strong schools, youths can participate in various sports, and people can shop all day. The history of Marietta goes back to the 1800s. The city started out as a railroad hub and has grown over the years. Part of its growth can be attributed to being close to Atlanta. ​73% of the people in Marietta, Georgia speak English while 19% speak Spanish and 8% speak other languages. The population of Marietta, Georgia is at 67, 000 and it is among the largest suburbs of Atlanta. The city has a median age of 34. The Whites make up 52% of the population, the African American make up 31%, the Latino 20%, Asians 2%, American Indian below 1%, those with 3 or more races are below 1%, and other races make up 9%. Females make up the majority of the residents of Marietta (51.7%) while the males make up 48. 3%. An average home in Marietta has an income of approximately $49, 644. The median gross rent of the city is $994. The average cost of living index is 100 while that of Marietta is 97.3 which is close. Marietta has a low crime rate. For every 1,000 residents, 42.40 have committed crimes. 38.25 are connected to property crimes while 4.15 of them are involved in violent crimes. Marietta has great weather. The area experiences mild winters, and most of the time the weather doesn’t go below freezing point. Therefore, it is perfect for outdoor activities. At times, the summers become hot, but the good thing is that there are places where one can go to cool themselves. Marietta Ice Center and Sewell Park Pool are examples of those places. You cannot be bored in Marietta. When you go to the downtown part of the city, you’ll be faced with several shops and restaurants. A short distance from there, you’ll encounter Glover Park where various outdoor events such as weddings and festivals take place. The landscape of Glover Park will remind you of Victorian Square. You can take your family to the Park for some fun. There is a special train for kids which they can get on as adults relax while enjoying the beautiful fountain and scenery. Alternatively, the entire family can enjoy the evening concerts. Majority of the events in Marietta take place downtown. This is where you’ll find parades, and art strolls. If you are looking for a farmers market, then go to downtown. There’s a restaurant known as ‘The Big Chicken’ where you can have delicious food, and it is located where Cobb Parkway intersects with Roswell Road. If you have a school going child, then Marietta is a good place to reside in because the city has various great schools. An excellent example is Marietta City Schools which has won several awards for great academic achievements. The school provides knowledge on various academics paths such as STEM which represents science, technology, engineering, and math. There are various college campuses in the area, and some of them include the Embry-Riddle Aeronautical University, Southern Polytechnic State University, and Life University. The residents of Marietta go to WellStar Kennestone Hospital for medical services. The hospital provides both inpatient and outpatient services. The Kennestone Hospital is among the top organizations in the area that provides many people with employment opportunities. Another organization that has employed a large number of people is the YKK. It is a Japanese company that produces the largest number of zippers in the world. Marietta is rich in arts and culture. One of the arts organizations that have gained a lot of recognition, both regional and national for the professional plays it produces is ‘Theatre in the Square.’ The Cobb Symphony produces different musical concerts. These concerts are both contemporary and classical. Another place that one can enjoy arts is the Marietta/Cobb Museum. This museum is found within the square, and it has a permanent exhibit where people come to read poems, see unique art pieces, participate in kids’ activities and art workshops. People visit Smyrna’s Lillie Glassblowers to see the amazing way in which they make unique art designs from the liquid crystal. The Mable House Cultural Center is a place where people go to experience art. There’s something for sports lovers at Marietta. If you into softball then AL Bishop Softball Complex is the place you need to be. You’ll enjoy the various national and regional tournaments held at the complex. Alternatively, you can go to Atlanta which is only 15 miles from Marietta and enjoy watching several professional sports team play. 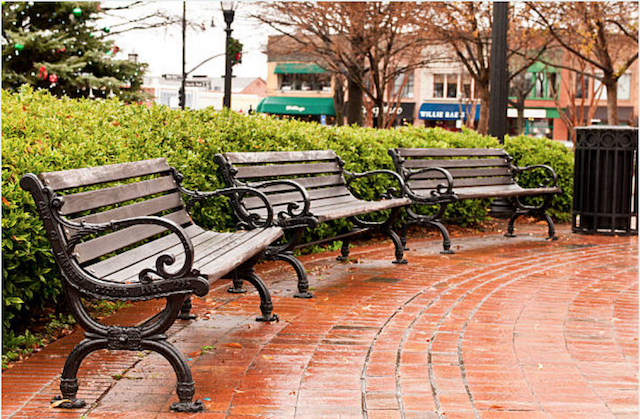 If you love to shop and dine, then you will enjoy your visit to Cobb County. The county has several options when it comes to shopping. You can go to the corner store and get what you want or go to the large shopping malls in the area. Town Center and Cumberland are examples of such malls. Providence Square in Marietta is a great place to shop. There are many quaint shops around the square, and they sell clothing, jewelry, art and a variety of things. The Country Shopping Center, Marietta Trade Center and Merchant’s walk are other places you can shop too. If you are looking to eat native dishes, then you can go to the Church Street Market. Marietta region has over 200 dining places, and you can choose where you want to eat whether you like southern cuisine, Japanese cuisine, Chinese cuisine or you want to visit casual eateries. The residents of Marietta use different means to get around. The Atlanta airport serves those in Marietta area, and it is the fastest way to reach Marietta. There is public transportation within the city which you can also take from the Atlanta airport. Examples of public transportation you can use include Cobb Community Transit (CCT). There are different taxi companies such as Uber and Victory Cab of Marietta. Majority of the residents of Marietta prefer to drive themselves around. Marietta is an amazing place to visit and to raise a family.